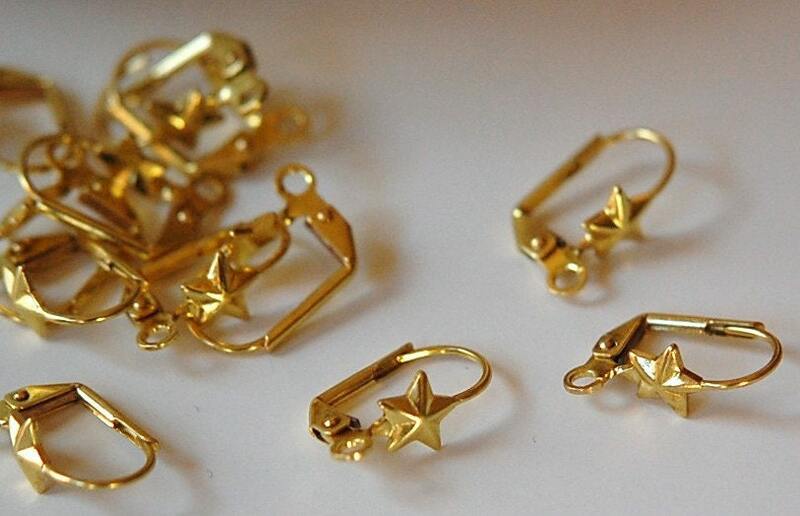 These are very sweet raw brass ear wires. They have a lever back and the front has a star adornment and a loop for attaching more goodies. You will receive 10 pieces/5 pairs. I have these with other adornments. Perfect, exactly what I was looking for- Thank you so much. 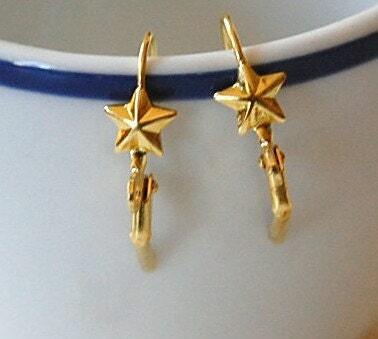 I love the star adornment on these lever back earrings. 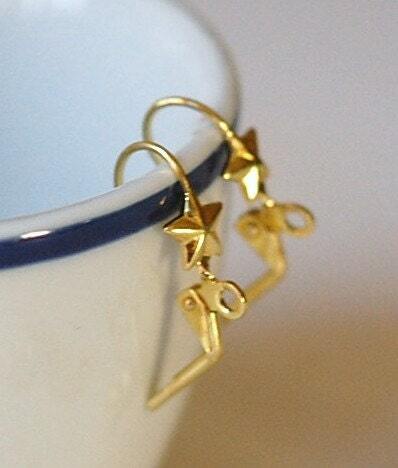 I paired these with the Vintage Navy Striped tear drop set stones to make the perfect pair of Nautical earrings. Lovely.